The silver rice rat (Oryzomys palustris natator) is a small rodent endemic to the mangroves of the lower Florida Keys. The subspecies was described in 1978 and is currently known to exist only on the islands between Big Pine Key and Big Coppitt Key. Silver rice rats are semi-aquatic and feed on snails, crabs, and other marsh-dwelling invertebrates. They are adept swimmers and can travel long distances through flooded red and black mangrove forests. Modified camera trap and an example of a photo (Silver Rice Rat) taken by one of our traps. We are surveying for silver rice rats by deploying camera traps that are modified to capture images of aquatic rodents. We are also live-trapping rice rats to test the efficacy of modified camera traps at detecting the species. Why study Silver Rice Rats? The Florida Keys are being threatened by more frequent, stronger storms and sea level rise. The influx of seawater into formerly dry or freshwater parts of the islands is changing the types of plants and animals that area able to persist. 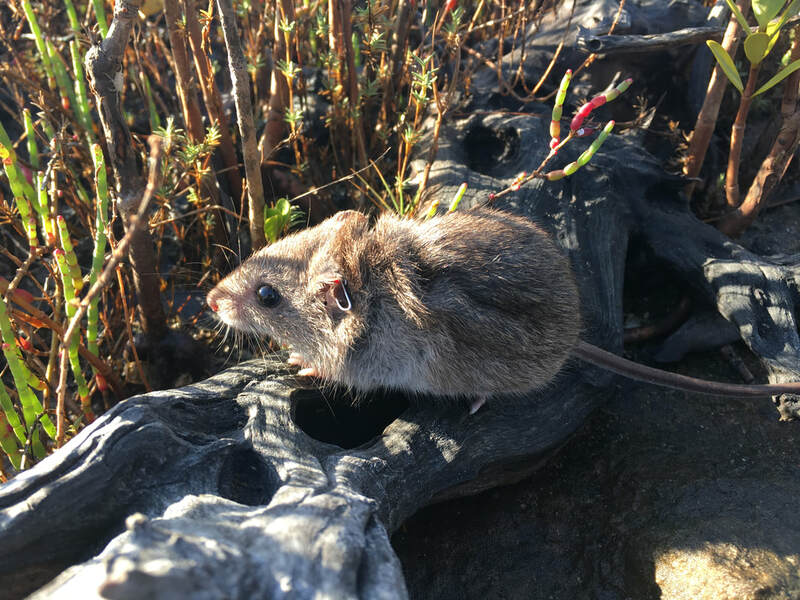 We are studying silver rice rats to determine where, and in what vegetation types, the rats live. Knowing where rats live now will further our understanding of how they will be affected by the changing landscape.